Get to know some of the cutest little creatures that call Hoo Farm their home. 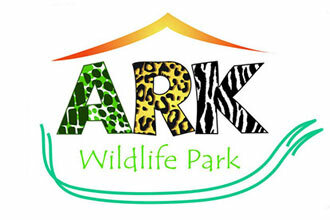 This animal experience for two introduces you to meerkats, lemurs and servals, giving you the chance to hold and feed them. 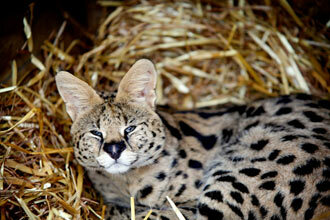 This experience would make for a fun day out with the kids or a great gift for the animal lover in your life. 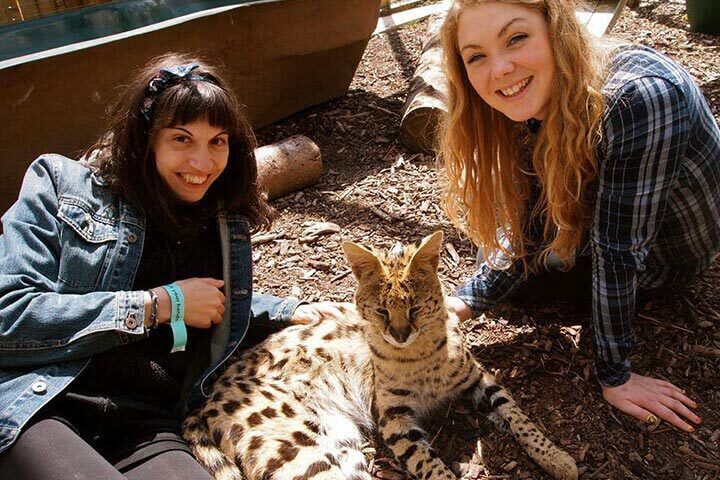 When you arrive at Hoo Farm on the day, you will be welcomed by a member of the Hoo Farm team, who will introduce to three different types of African animals that live on the farm. 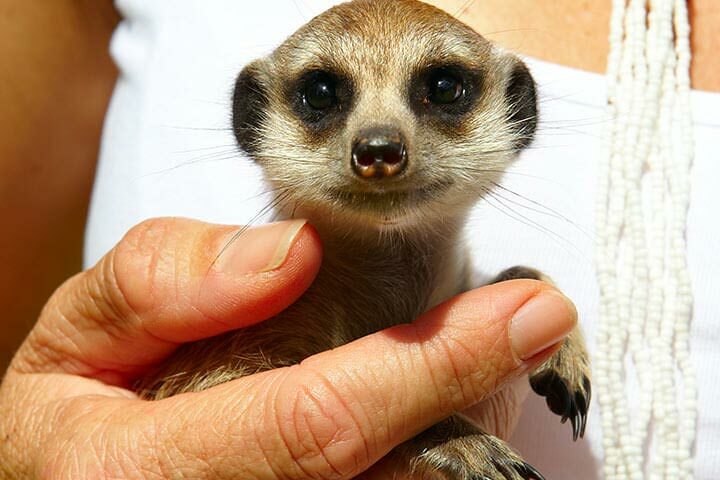 First, you will get to meet the meerkats. 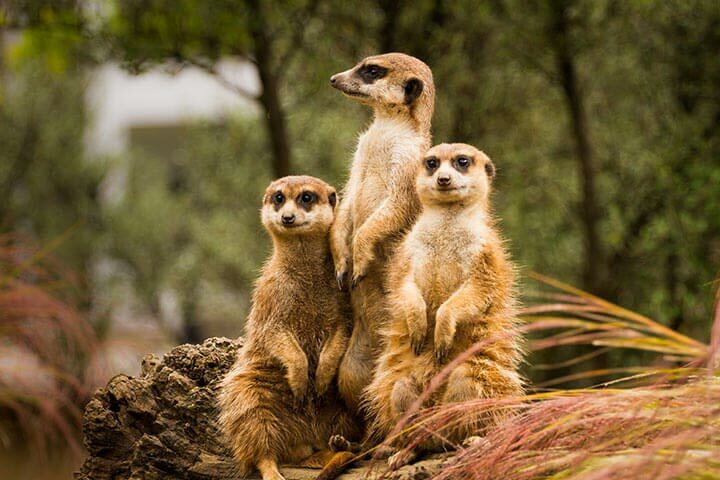 Kovu and Uuka are Hoo Farm’s two hand-reared meerkats, and you will get the chance to handle one of them. They both love people, and will happily snuggle up to you or try to get you to play with them. 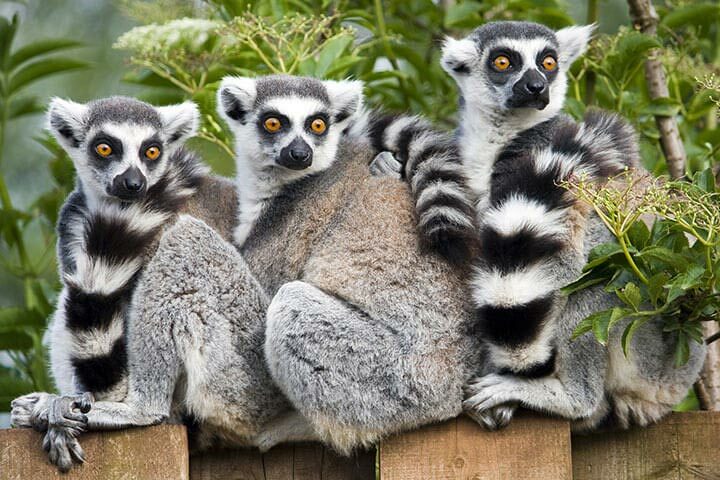 Next, you will have the chance to observe a friendly gang of ring-tailed lemurs or meet an adorable white-ruffed lemur face to face. These cheeky primates hail from Madagascar and are highly sociable, communicating with each other through scents and vocalisations. 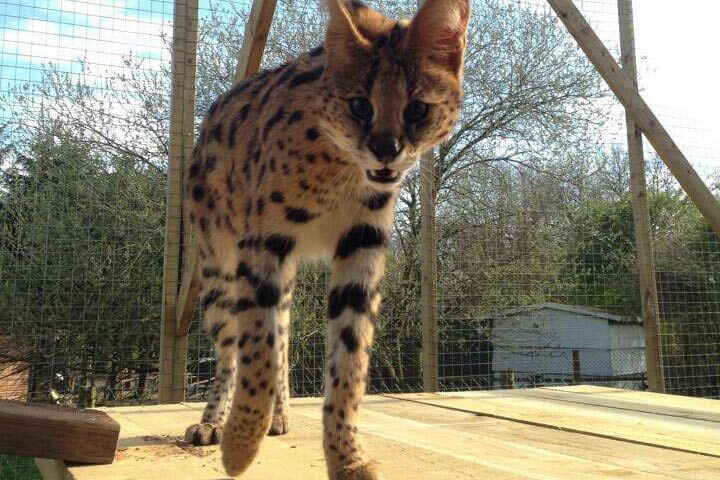 Lastly, you will meet either Duma or Zeus, Hoo Farm’s two servals. These wildcats are close relatives of the cheetah, and can reach speeds of up to 50mph, despite weighing only 8-18 kilograms. Duma and Zeus are very accustomed to humans and love attention, so they will happily let you stroke them. Please keep in mind that the welfare of the animals is extremely important to Hoo Farm, so all interaction with these amazing animals is done on their own terms. This experience is available on selected weekday dates, throughout the year. You must take your experience before the voucher expiry date. This was a brilliant event at an exemplary venue. These guys do great rescue work. You could get up close and personal with the animals where is when I have done these things in the past that wasn't possible at other venues. 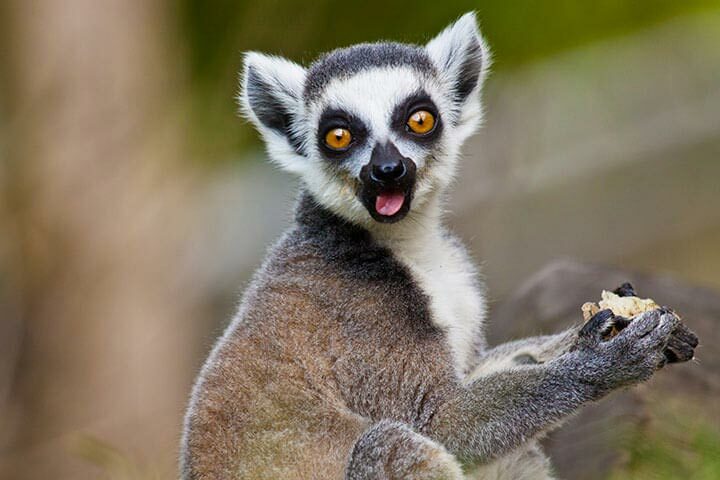 I will definitely be going back, nothing like having a lemur in your face to make your day better. I bought this as a gift for my friends birthday as something we could do together and it was something we won't forget! Meeting the animals is such a perfect experience for someone who enjoys going to the zoo. The keeper who took us round was very knowledgable and she could answer all questions asked. Such a nice place to visit and the meerkats are adorable snuggling into our coats. The lemurs were so soft and gentle when taking snacks. The Servels were incredible! I love cats so being so close to these was something I would do again and again! Highly recommend. 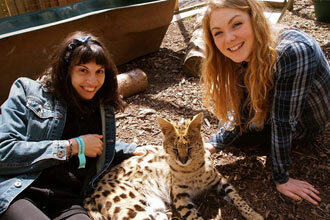 I had the Lemurs, Meerkats and Servals experience and had a great time! was lovely to get up close to the animals! My children bought this as a present for me as I adore meerkats. It was an amazing experience and would recommend it to everyone. This was our second experience day at Hoo Farm and we came home and booked another one immediately. I love it here, it's rustic but the animals have lovely large enclosures with lots of enrichment and they are clearly not just well cared for but loved by the staff. Our guide was excellent and knowledgeable and the animals are just so full of confidence. Having a Lemur let you hand feed him or a Meerkat jump up and go to sleep on your shoulder is a fantastic experience. 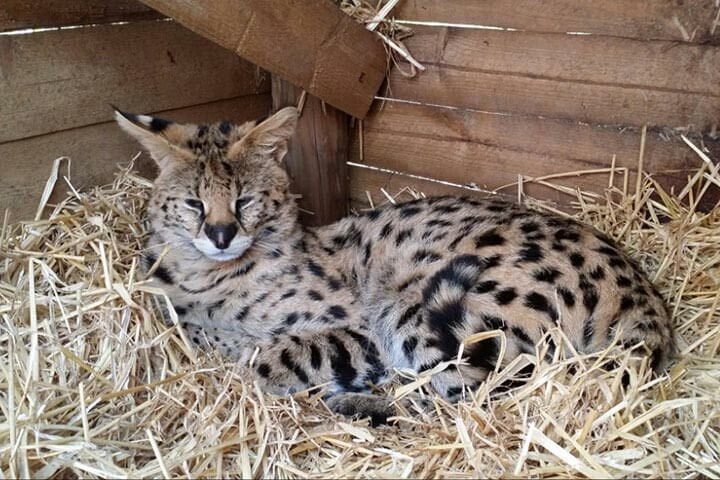 There's also lots of other animals to see at Hoo Farm. Wallaby Wood, where the Wallabies are free to roam is fantastic. Cant recommend this place more highly. Im an adult but if I'd been taken here as a kid it would have been something I'd never forget. I bought this for my mum for xmas. Im so pleased i did she thoroughly enjoyed the day. We booked for 1pm. When we arrived we had a look around the farm, the experience also includes free admission to the farm. There was lots to see and do you can also purchase food to feed certain animals. Our guide met us at 1pm he was very helpful and informative about the animals. We had plenty of time with the animals and were not rushed which was nice. After that we went on around the rest of the farm. Overall it was a great day with plenty to do. Definitely recommend a visit. We had a great experience at Hoo Farm. Handfeeding zoo animals is a rare opportunity but the lemurs were very friendly and one even sat on our shoulders as we fed it. 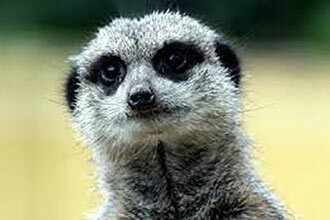 The meerkats were similarly tame with one just wanting to snooze on everyone's lap. 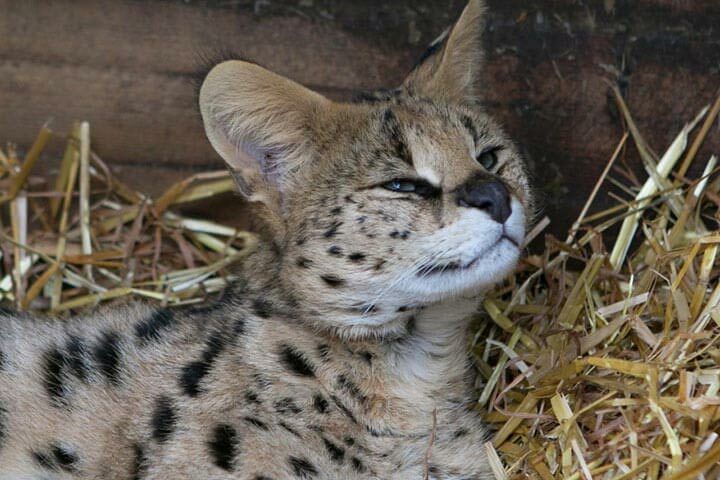 The serval was snoozing so we just gave it a stroke but it was great to get so close.